Ready yourself emotionally – Make sure that you’ve already come to terms with the fact that you are going to be selling your house. Otherwise, preparing for an open house will become even more stressful. Being hit with the realization that you’re making a huge life change can make an open house much more difficult. Secure your valuables – Go through your home and make sure that all of your valuables are out of sight and safely locked away. This way, you won’t have to worry about any visitors stealing your things. Have your real estate agent use a sign-in sheet so that you know who has gone through your house – this should help dissuade anyone from being tempted to steal as well. Don’t go to your open house – One of the biggest mistakes you can make is to show up to your own open house. This is a great way to lose your mind, as you’ll end up stalking buyers as they walk around your house, trying to convince them why your house is perfect and why they’re wrong about the things they don’t like. Just let your real estate agent handle things. 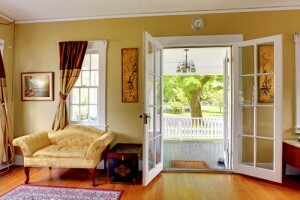 Use these tips to keep your sanity during your open house. If you need a real estate agent in York County, then contact Randy Lindsay today.